Tiger prawns cooked in garlic, chilli and olive oil (£5.95) were scrumptious. The prawns were firm and juicy, and the garlic and chilli flavour went hand in hand with the prawns. 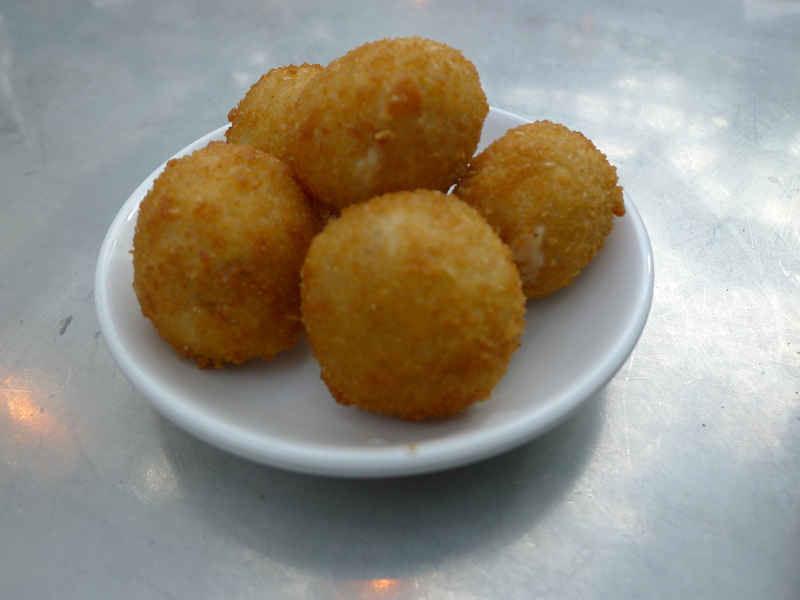 Ham croquetas (£4.50) were good with a crispy coating, although the filling was a little runny. We didn’t think much of the toasted bread with garlic, tomato and olive oil (£2.95) however as it was quite bland. The bread was good, but there wasn’t enough topping, or flavour in what topping there was to make this worthwhile. Tapas such as tortilla (£3.95), and baked chorizo sausage with potatoes, egg and garlic (£4.50) were in essence, tasty. However for service, both had been reheated in a Merry Chef, a microwave-accelerated combination oven. The result was that the high temperatures used left the tapas scalding hot, so hot that they burnt the roof of my mouth. Moreover, the tapas tasted microwaved. More care, and a slower, lower heat would have produced a better effect. 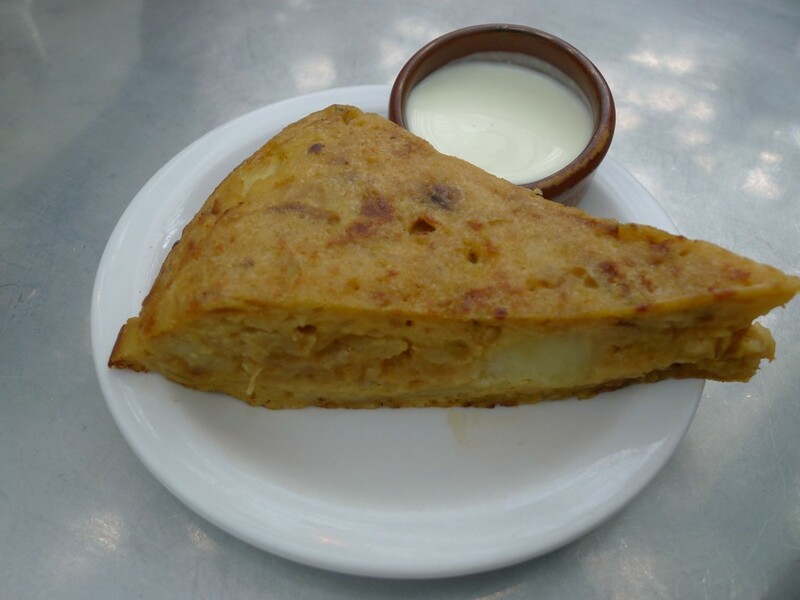 The tortilla also looked dreary from overcooking and the potatoes were too soft. 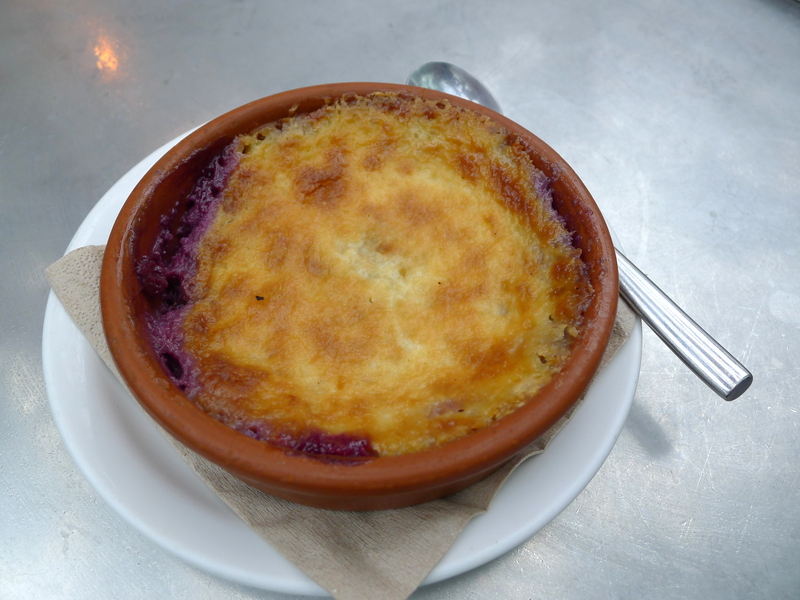 A baked cheesecake with mixed berries (£3.50) was fantastic, although its presentation was messy. The creamy airiness of the mascarpone filling blended beautifully with the sweetness of the fruit. 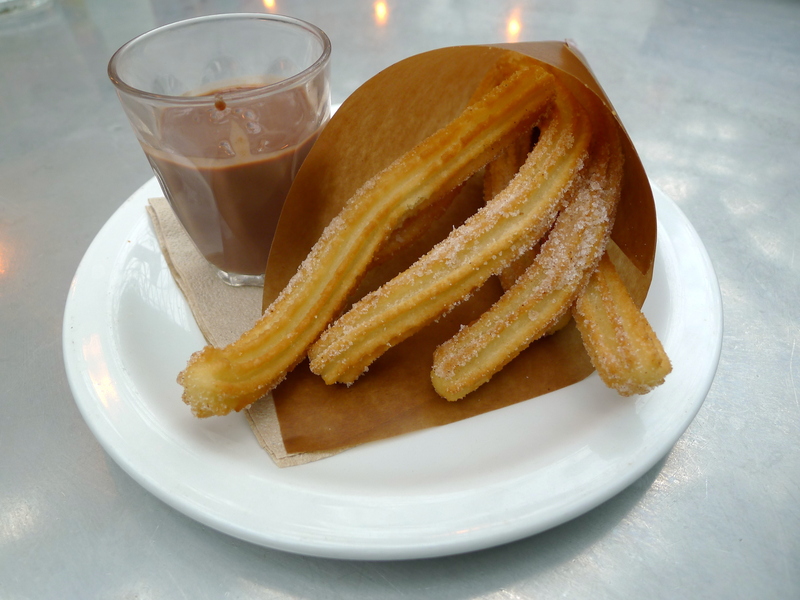 Churros con chocolate (£3.50) were crispy, but they were also quite thin and they didn’t have that gooey soft centre which would have made them moreish. The accompanying chocolate sauce was pleasant but quite runny. 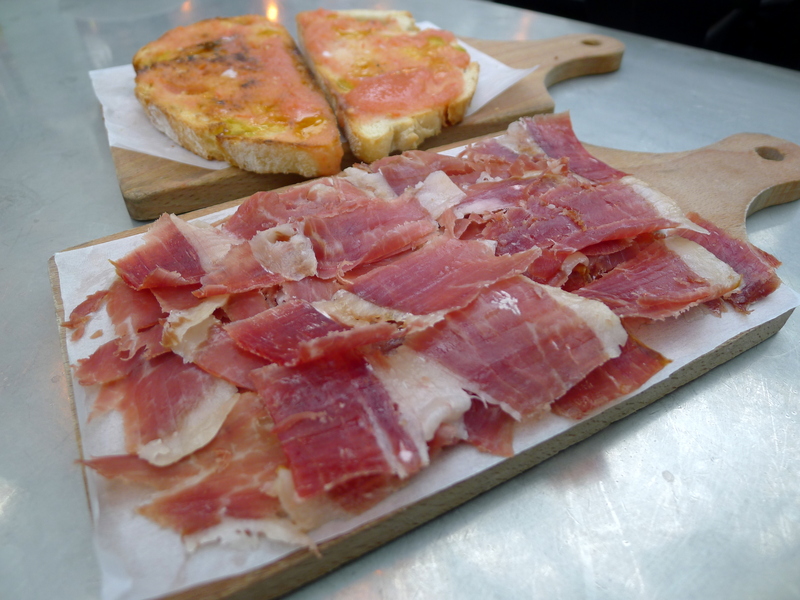 The excellent and reasonably priced hams at Tapas Revoluation were a bargain and the prawns were also very good. But we found some of the other dishes to be less successful. I didn’t doubt the calibre of the recipes, but somewhere between their preparation and reheating before service, the food lost some of their lustre. 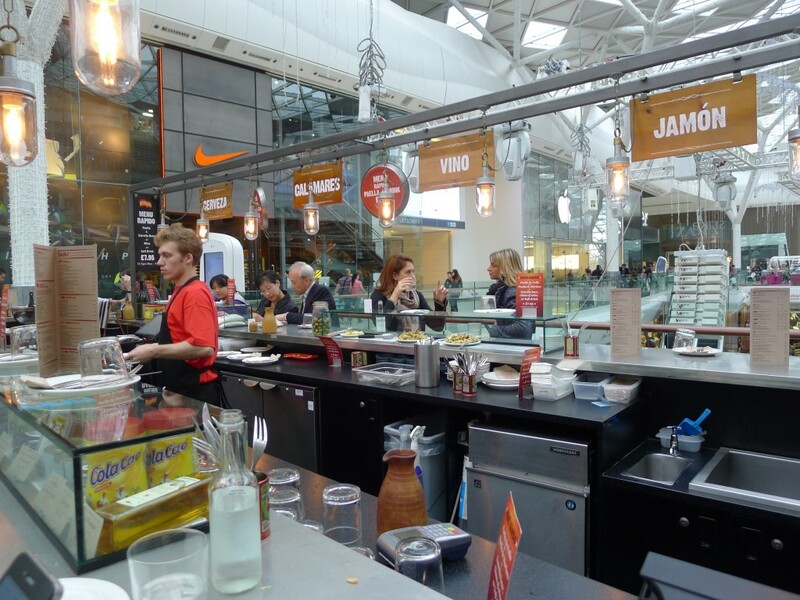 Being in the centre of a shopping mall, the concept behind Tapas Revolution is to serve food – fast. Our waitress even told us that the food comes out really quickly so advised us to order slowly. But this fast food service makes Tapas Revolution more of a ‘fast food’ experience with sit down service rather then an enlightened tapas meal. Tapas Revolution has potential, but it didn’t quite fulfill it on this occasion. 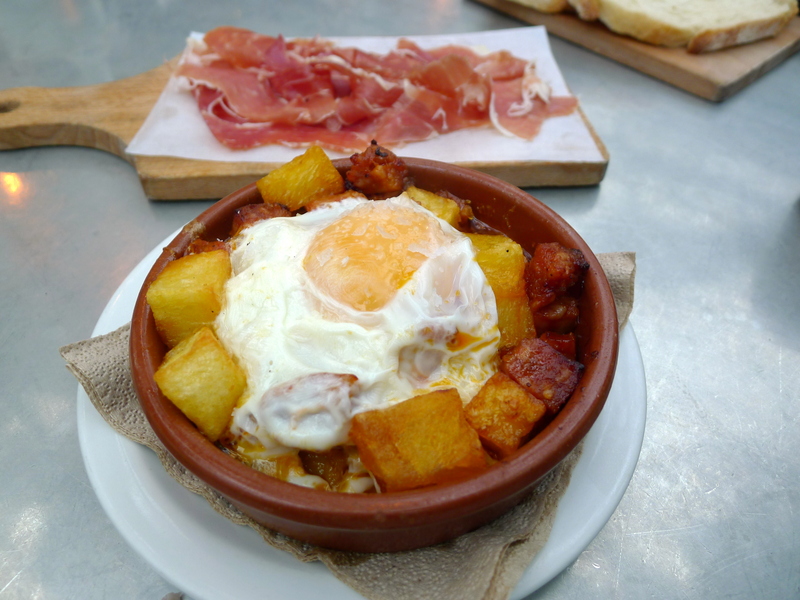 The big bonus is that prices at Tapas Revolution are really reasonable. 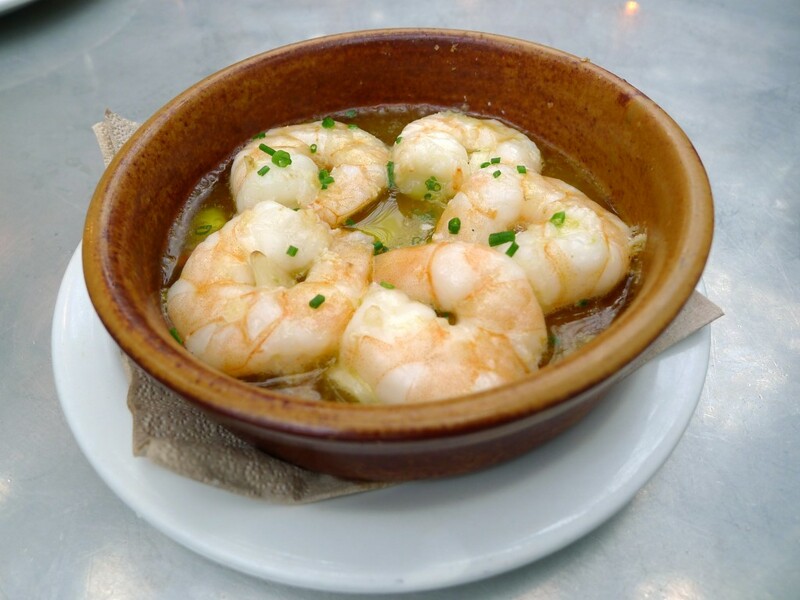 Prices: Reasonable – about £5-6 per tapas dish.